Tuesday Trivia : What’s the name of that place again? Over the years, the building at 3520 Central Parkway has had many names. Can you guess how many? Bonus points if you can name them all. 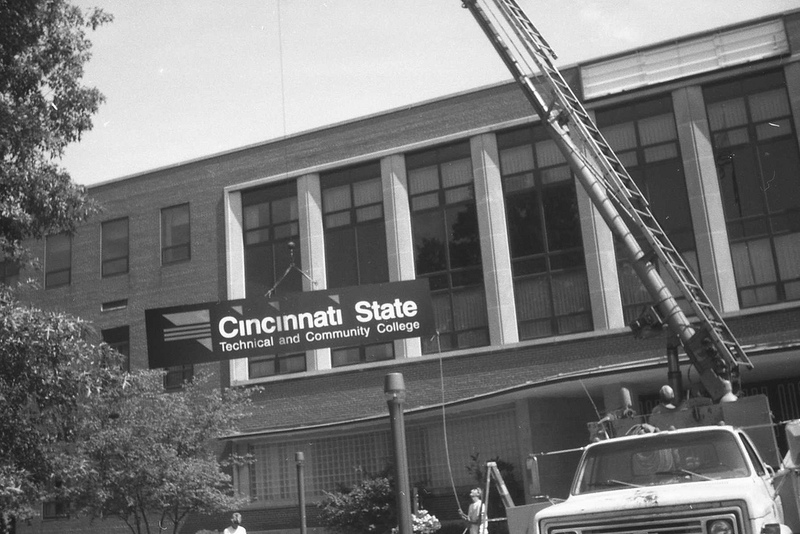 The College now known as Cincinnati State Technical & Community College changed names quite a few times over the years! Below is a brief history behind the evolution of the many name changes. 1953 to 1966: The building at 3520 Central Parkway was first home to Central High School. 1966 to 1969: The building was shared by both the high school (then called Courter Technical High School) and the college (then called Cincinnati Cooperative School of Technology – CCST), which was established by the Cincinnati Board of Education. 1969 to 1972: The Board of Regents took authority of the College, and its name was changed to Cincinnati Technical Institute (CTI). The building was still shared with Courter Tech during these years. 1972: An Ohio Senate bill recognized the collegiate nature of CTI, and its name was changed accordingly. It was briefly announced to be Cincinnati State Technical College, until the Board of Trustees made Cincinnati Technical College (CTC) the official name. 1974: The sale of the building by Courter Tech to CTC was completed, and the building finally belonged to the College alone. 1994 to present: The Board of Regents approved a proposal to turn the College into a state community college. Thus, the name changed one last time to Cincinnati State Technical & Community College). The six-word name is commonly shorted to Cincinnati State for ease of usage. So, did you keep track? There’s been a total of 7 names for this place over the years! !